Leeds Prime Properties - providing quality accomodation and properties in leeds for students of leeds and professionals of leeds. A fantastic 7 bedroom property situated in the middle of Hyde Park. Modernised this summer to a high specification, in particular the 2 luxury tiled bathrooms. The property comprises of a good size separate lounge with modern furniture and laminate flooring A separate modern fully fitted Beech kitchen, 2 bathrooms with overhead showers and 7 double bedrooms. The property is neutrally decorated and has modern fixtures and fittings and located in a very popular street ! not to be missed. 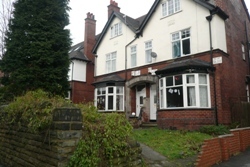 Situated close to Headingley Cricket Ground, ideal for Becketts Park students. Located in central Hyde Park. Underwent a mini refurbishment last summer, with new bath and shower room facilities. 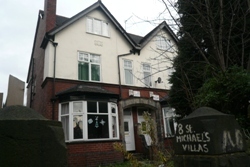 A large house with good size bedrooms, and in an excellent location. Available as a 6 or 7 bed property! Also ideal for a group of 12 /14 as we have the property next door! A brand new refurbishment, modernised to a high specification. Situated in a very picturesque and desirable location. Close to central Headingley and excellent transport links to uni and city centre. Fantastic large 7 bedroom property, located in Hyde Park close to the Co-op. A lovely property throughout, with 7 double bedrooms, 3 bath / shower rooms.A modern open plan large fitted kitchen with breakfast bar, and sitting area / dining area.Completely refurbished a few years ago to a high specification, fully furnished, neutral decor, large rooms, viewing essential. Fully renovated summer 2008, this 7 bedroom property is truely spectacular!! The fully fitted white gloss kitchen is stunning, with its solid oak worktops, and stainless steel oven. The lounge has beautiful leather sofas, laminate flooring and spotlights.There are 3 bath / shower rooms all fully tiled with italian stone tiles. Decorated in neutral colours with brand new modern furniture, beige carpets and laminate flooring. Early viewing essential as first to see will take! We are delighted to offer for rental this large, fully furnished property boasting an excellent location in a sought after area! We are delighted to offer this extremely well presented 7 double bedroom semi detached property. 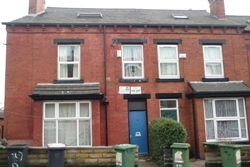 Situated in Headingley close to the cricket ground ideal for local amenities and universities. Renovated this summer to exceptionally high standard , the property comprises of a super size lounge with ample seating a brand new contemporary kitchen with separate utility room that houses washing machine and dryer. It has a downstairs wc a large house bathroom separate shower room and on the top floor it has separate toilet and a luxury jack and Jill en-suite, outside it has off street parking for three cars and low maintenance gardens. A must view property.